Tau Beta Pi was created, “to mark in a fitting manner those who have conferred honor upon their Alma Mater by distinguished scholarship and exemplary character as undergraduates in engineering, or by their attainments as alumni in the field of engineering, and to foster a spirit of liberal culture in engineering colleges.” But Tau Beta Pi offers more than just another line on your resume. 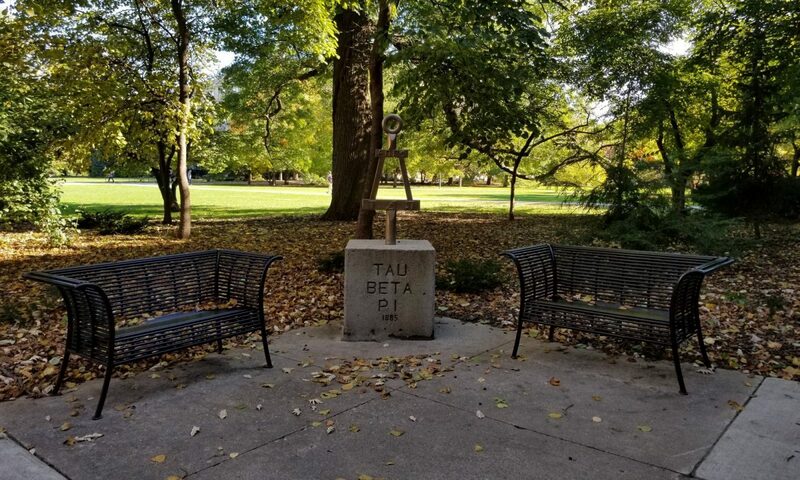 Since we offer many oportunities to become involved with our chapter and the community, being a member of Tau Beta Pi displays character in addition to scholarship. Our chapter, Iowa Alpha, is involved in numerous projects with the Ames and Iowa State communities. Whether it’s providing free tutoring to peers or visiting local high schools to promote science and engineering, we strive to offer opportunities to our members to become involved and make a difference. Tau Beta Pi also offers many opportunities to develop your leadership skills by holding any one of over 20 different cabinet positions. While on cabinet, you will have the opportunity to work with your peers to mold our chapter to become its best. We encourage you to browse through our web site for more information about our chapter, upcoming events, and current chapter projects. We would love to hear from you and answer any questions you may have.